Organised criminals – particularly Asian syndicates – are increasingly involved in the illegal trade, according to environmental agency Traffic. 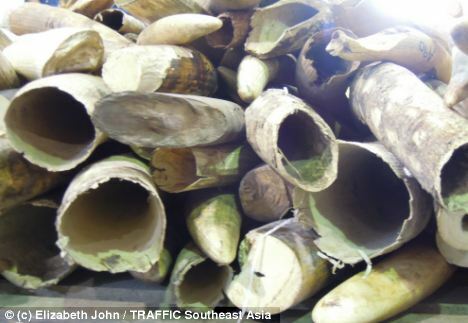 Traffic’s elephant and rhino expert Tom Milliken said: ‘As most large-scale ivory seizures fail to result in any arrests, I fear the criminals are winning. 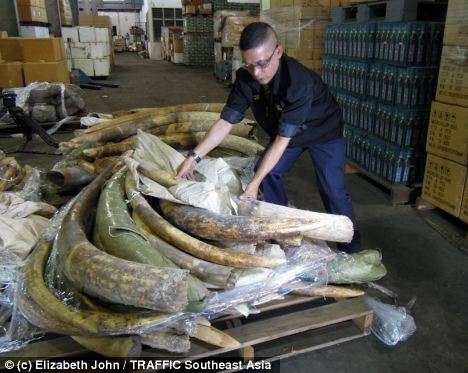 A record 13 large hauls were seized this year – consisting of an estimated 23,676 kilograms of the desirable product. 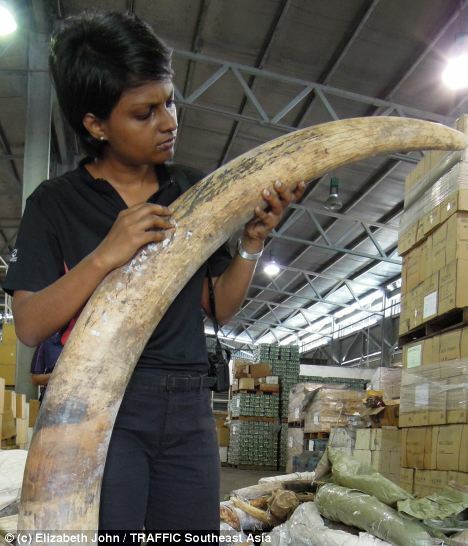 The ivory was hidden in containers of handicrafts from Kenya’s Mombasa port. 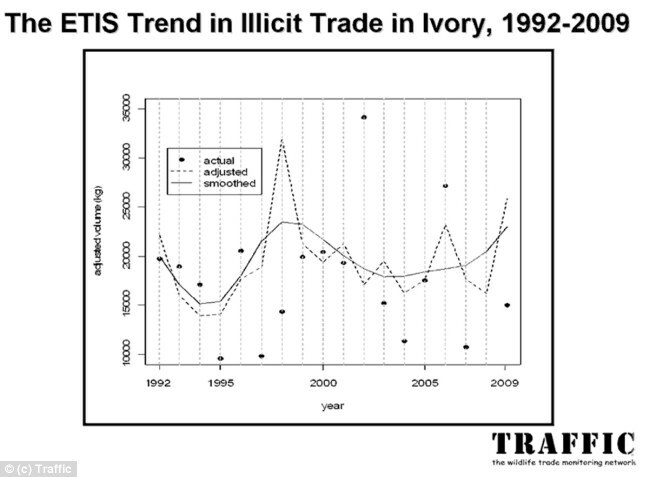 Most of the large seizures have originated from Kenyan or Tanzanian ports, according to Washington-based Traffic. The wildlife trade monitor said 50 elephants a month are being killed and having their tusks hacked off at Tanzania’s Selous Game Reserve. Gangs have taken to shipping the hauls by sea instead of air because of their size, falsifying documents with help of corrupt officials, experts said. 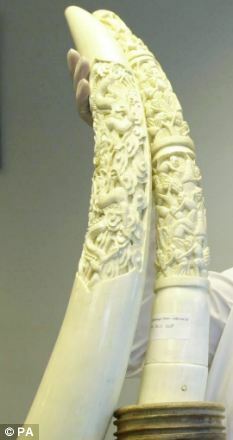 Mr Milliken said some of the seized ivory has been identified as coming from government-owned stockpiles – made up of confiscated tusks and those of dead elephants – in another sign of corruption. Rhinos also have suffered, with a record 443 killed this year in South Africa, compared to 333 last year, according to National Geographic News Watch. South Africa is home to 90 per cent of the rhinos left on the continent. Africa’s elephant population was estimated at between 5million and 10million before hunters came to the continent with European colonisation. 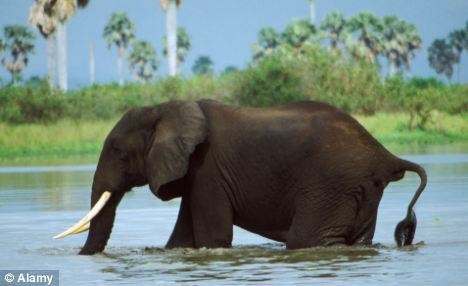 Widespread poaching for the ivory trade in the 1980s halved the remaining number of African elephants to about 600,000. After the 1989 ban on ivory trade and international efforts to protect the animals, elephants in east and southern Africa were thriving – until the latest threat arrived from Asia. A report from Kenya’s Amboseli National Park, which lies in the shadow of Mount Kilimanjaro, highlighted the dangers. There had been almost no poaching in the park for 30 years until a Chinese company was awarded the contract to build a highway nearby two years ago. Amboseli has lost at least four of its ‘big tuskers’ since then.